Lighting a vigil lamp holds special significance in Orthodox Christian traditions. Not only is it a way to venerate your icon but the flame itself signifies that Christ illuminates the world. Istok Church Supplies aims to promote glorious orthodox traditions and teachings and hence offers an extensive range of wonderful table vigil lamps that are ideal for illuminating your home worship space or church icon displays. 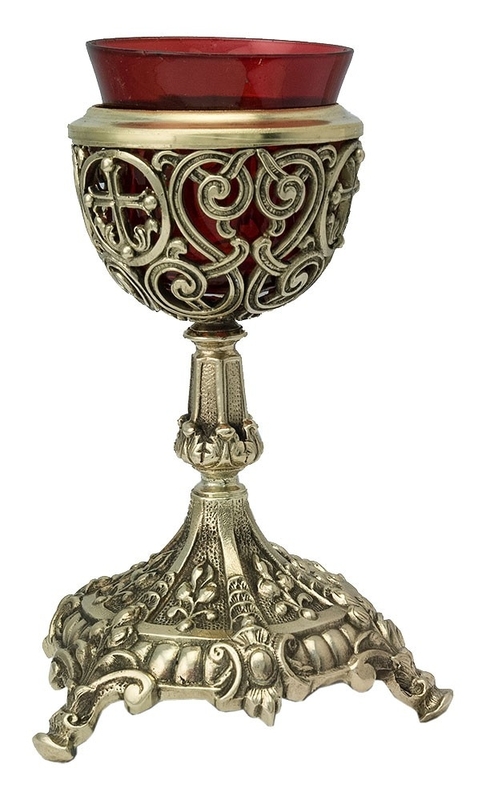 Our metal Orthodox table oil vigil lamps are built to last for a long time. They are heavy and have a strong base which prevents them from falling over. 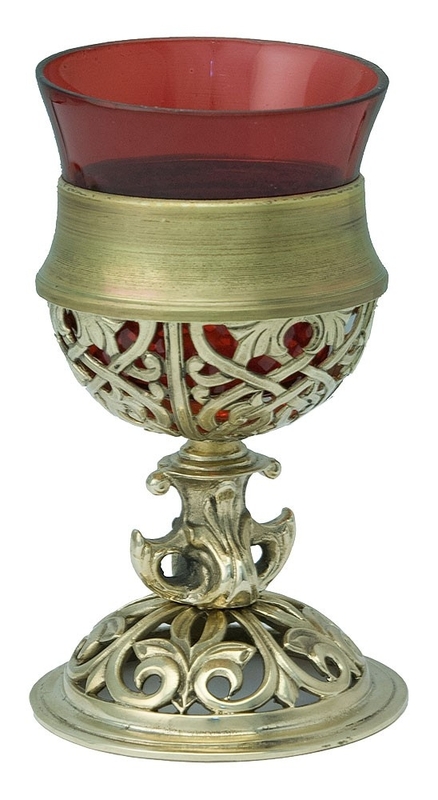 We only have stocks of oil and flame based table vigil lamps in keeping with the traditions of the Orthodox faith. 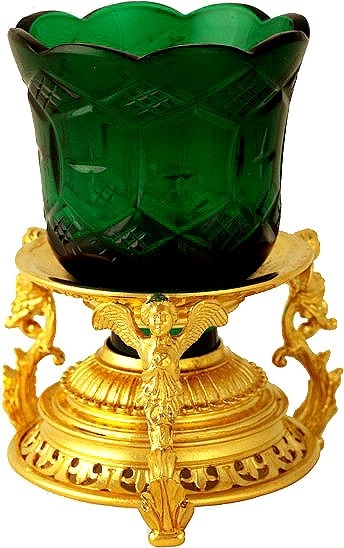 Votive glasses filled with traditional oil and wick can be placed on the lamp stands without any problems. 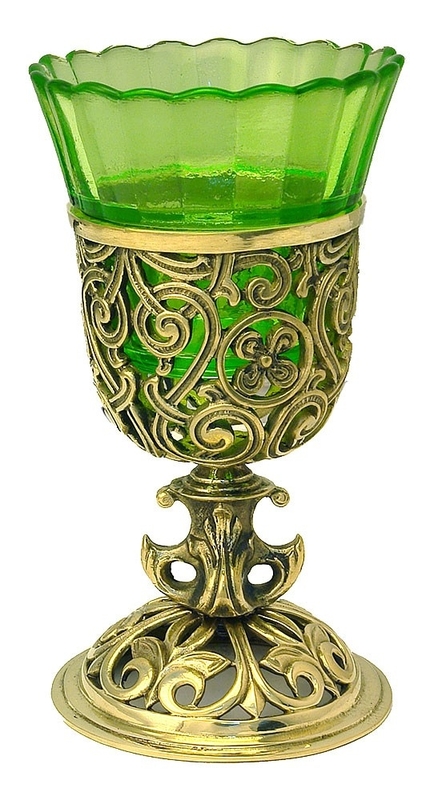 Our traditional glass votive lamps are a beautiful accessory to your home altar. Simple and elegant in design, they are specially treated to withstand heat from the flame without any damage. They are available in a wide range of colors such as red, blue and green that add to their rich appearance. Customers can choose from individual glass votive lamps as well as sets of votive lamps according to their requirements. 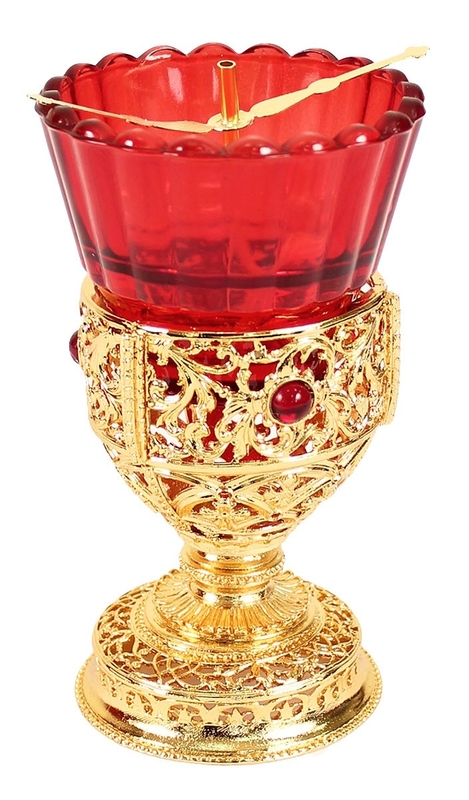 For customers who are looking for elaborate Orthodox standing oil lamps for the Holy Table in churches, we have a wide variety of designs to choose from. 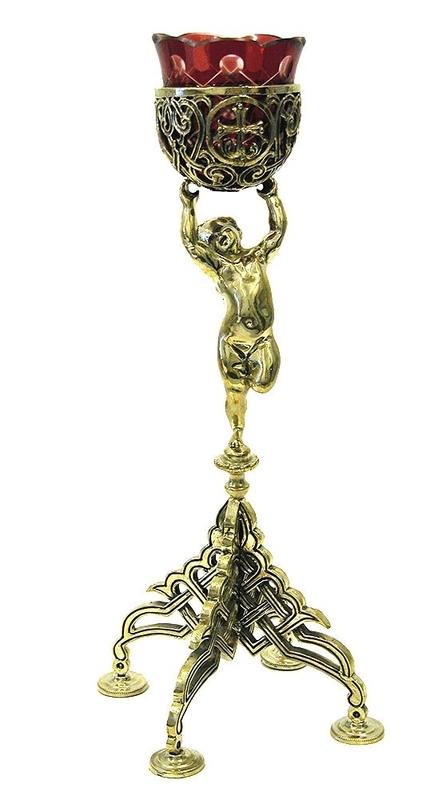 Some of the designs are copies of vigil lamp prototypes that were in use from the fifteenth to seventeenth centuries. 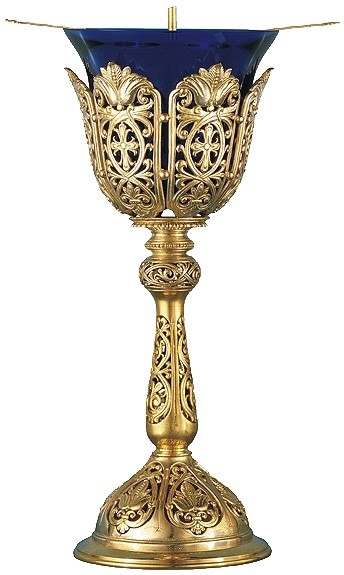 Our Orthodox vigil lamp stands have features such as gold gilding, intricate filigree work and attractive enamel painting that add to their authenticity and beauty. 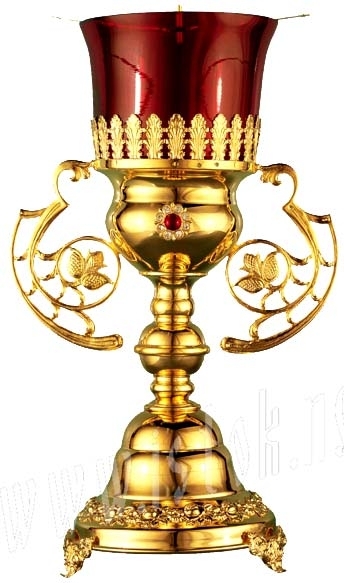 We use high quality brass on all our standing vigil lamps. Our metal vigil lamp stands are handcrafted and hand finished to perfection by master craftsmen specially trained in traditional designs. Customers can also find complete sets that include a beautifully adorned standing vigil lamp, incense holder and spoon.